I want a dog. I think. No, I want a dog. I’m weird. You probably know this by now after reading my blog for so many months or years. 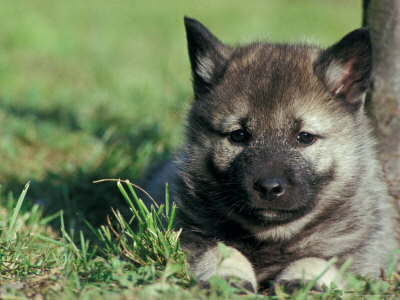 While other women have baby fever, I have dog-puppy fever. For a very long time, I was very happy with my two cats and knew that having a dog would take much more work. One, I would have to walk the dog every day. Two, I would have to clean up the poop every day. Three, a dog is more dependent. Four, I’m pretty sure Riley and Clara will hate a dog. Seriously, how can I NOT resist a cute little face like this? He's sooooo cute and furry! I love him already. But now I want a dog. I’m pretty sure. I’ve been telling Charlie for the past couple of months that once we buy our own house, we are seriously having a discussion about adopting a dog. He knows we will have this conversation. I just love dogs, and I fall to pieces every time I see one. Why the dog-puppy fever all of a sudden? Every time Charlie listed the above four reasons to not have a dog, I agreed with him and left the issue alone. While I’m not thrilled that more responsibility comes with having a dog, I still want one. I really do because I like the names Sally and Sadie for a girl dog. If this was a female dog, I would name her Princess -- unless I can think of a better and majestic or regal name. And I still love my cats with all my heart. They’re adorable and melt my heart every time I see them. But I have room for more pets, including Charlie’s fish tank — another addition to the “once we have our own house” list. Despite his objections, I will name every fish in the tank. He can’t stop me. I love, love, love the name Dorie after the blue fish from “Findng Nemo.” I love that movie. Anyway, Dorie is a great fish name. Along with Scarlet and Maggie. For a long time (and still a plan in the back of my mind), I wanted two Great Danes (one black and one grey) and name them Maximus and Lucius (characters in the movie “Gladiator”). One of my co-workers at the paper had a Great Dane, and his wife would bring the beautiful grey Dane (Dani) is almost every week. I just fell in love with that dog and promised myself I would have a Great Dane one day. 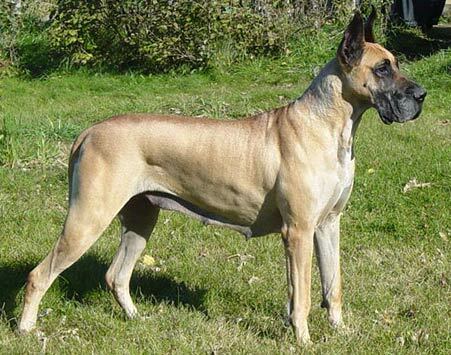 However, I also can’t justify spending $500 to $600 on a purebred Great Dane. I can’t bring myself to spend $300 on a purse or $100 on shoes. Even if I found a Great Dane at a humane society, I’m pretty sure the adoption fee would be high, but then again, the money would support the shelter. Charlie! Can we please please please please adopt a Newfoundland? Aren't they beautiful animals? I love all three of them! I have names picked and everything! Sally Sparrow, left, Amelia Pond, center, and River Song, right. I love them! Plus, Charlie has pretty much put his foot down on big dogs (i.e. Great Danes and Newfoundlands). No big dogs. Medium to small dogs are OK, but no big dogs. 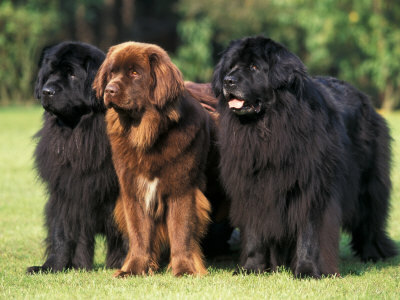 That means Newfoundlands are definitely out of the question — they’re big and furry. And I love them! They’re so gentle and beautiful. I would love, love, love to have a big dog like that. I love big dogs — always have. My Aunt Dee in Missouri always had two to three big dogs (Golden Retrievers, I think). I remember Becky and Krissy shrieking in fear when the dogs ran alongside the van when the family pulled up to my aunt’s house. I rolled my eyes at them and silently called them “babies.” I loved all of my aunt’s dogs. My Uncle Roger, who lives on a farm in North Dakota, also had big dogs running around. One of the many reasons why I loved visiting the farm so much when I was younger. While other women have baby fever, I have puppy-dog fever and feel compelled to adopt from the local humane society. So many animals need a really good home, and I would be more than happy to share mine with a friendly and adorable dog.